The CISSN is addressed to PhD students and Post-Doctoral fellows interested in Neuroscience (limited to 40 participants). Admission to CISSN will be on a first come, first served basis. Ten attendees will be selected on the basis of their CV/project evaluation to be awarded a €&hairsp;500 travel grant. In addition, Italian students, young members of "Società Italiana di Farmacologia", can apply to one of the → 6 SIF grants. 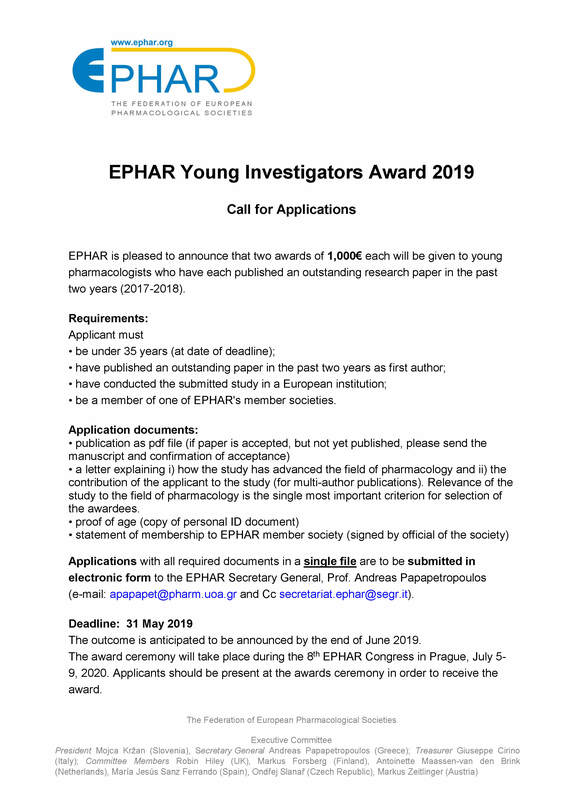 The EPHAR General Assembly (the EPHAR Council), held on 22 June 2018 during the Annual Meeting of the Spanish Pharmacological Society in Santiago de Compostela, has selected the proposal of the Hellenic Society of Basic and Clinical Pharmacology that the EPHAR Congress 2024 shall be organised in Athens, Greece. Check out our Facebook page and like us to follow it in order to get news automatically. 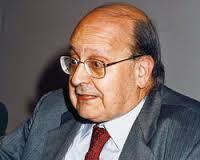 is named for Rodolfo Paoletti, first President of the Federation of European Pharmacological Societies (1990–1997). 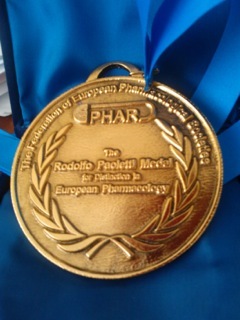 The medal has been created by EPHAR in 2014 to honour distinguished pharmacologists who have achieved merits for the discipline of Pharmacology in Europe. adopted by the Federation in Rome, 17 November 2013. EPHAR invites all member societies to adopt the EPHAR Ethical Code of Conduct and share it with their members.